The hard drive, HDD or SSD, it the most important part of our PC, containing irreplaceable data. Unfortunately, it is not a matter of "If" a hard drive fails, but of "When". Using CrystalDiskInfo we can predict if hard disk failure is imminent, and backup our files in time. Should I panic if I get a Caution or Bad health status? 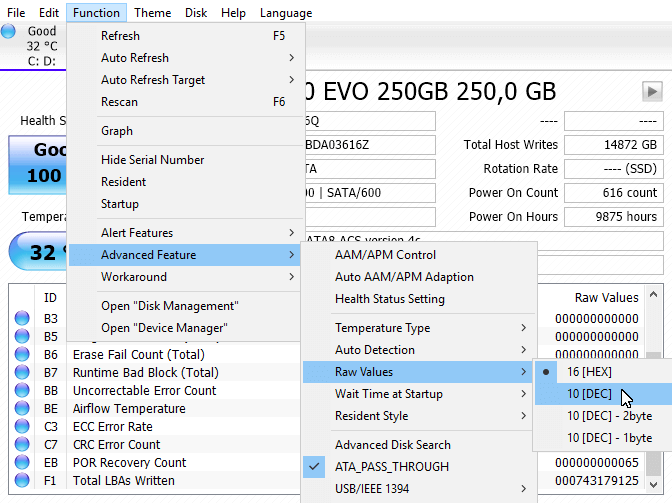 Do you suspect an imminent Disk Failure for one of your hard drives? The worst thing about hard disk failure - apart from losing any file we didn't have a backup of - is that it will often come out of the blue. 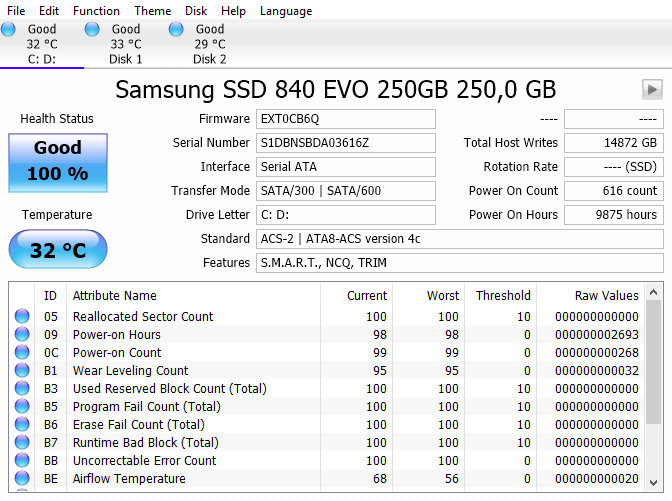 It's good then that there is a system that can statistically predict hard drive failure. 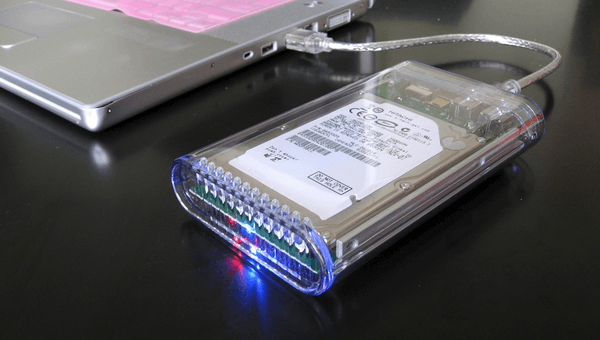 Its name is Self-Monitoring, Analysis, and Reporting Technology (S.M.A.R.T) and it is part of any hard drive that has been manufactured the past decade. The S.M.A.R.T protocol was developed by IBM, Seagate, Quantum, Conner, and Western Digital in 1995, based on an earlier system by IBM. 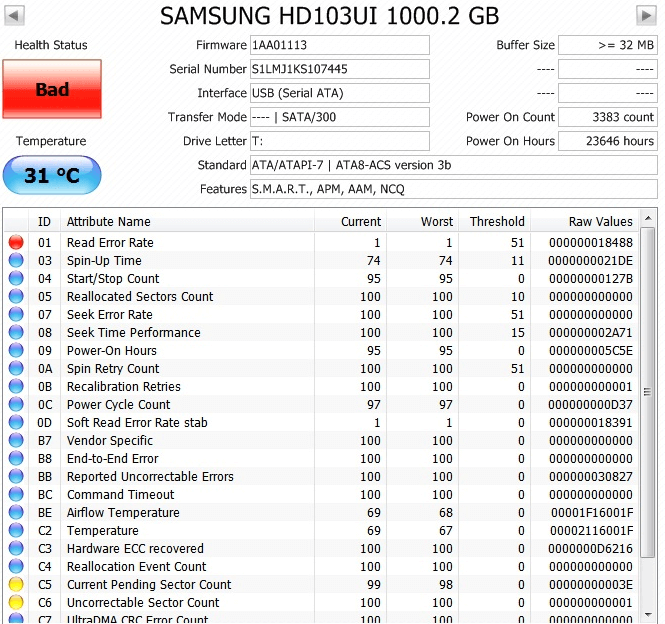 It measures key characteristics of the HDD, such as the read error rate, reallocated sectors, seek error rate, etc. which can be used to predict hard disk failure. Unfortunately, even though there have been more than half a dozen of Windows versions since 1995, not one of them can read the S.M.A.R.T data, probably for licensing reasons. So, we need to use external software to monitor S.M.A.R.T and our hard drive's health. And CrystalDiskInfo is one of the best such programs. It's best to download the portable version because it can run without an installation, and it also doesn't feature third-party apps, like the full CrystalDiskInfo installer. ...and run the DiskInfo application. DiskInfoX64 is for 64-bit Windows, and DiskInfo is for 32-bit Windows. The first time we run the application, it will immediately show us the S.M.A.R.T. status for all of our hard drives. If the "Health Status" is "Good", the disk is probably OK.
On the bottom half of the main application Window, we will see all the fifteen different metrics CrystalDiskInfo takes into consideration, to predict hard drive failure. ...or the Read Error Rate. As you understand, having a "Caution" or a "Bad" health status can predict imminent hard drive failure. While the Health Status is loud and clear, and pretty easy to understand, the rest of the data can be daunting for a beginner. This, however, is easy to fix. First we go to Function -> Advanced Feature -> Raw Values and select 10[DEC]. After that, we completely disregard the "Current", "Worst" and "Threshold" columns, and only look at the raw values. In the above example, the Reallocated Sectors Count is 0, not 100 or 10. 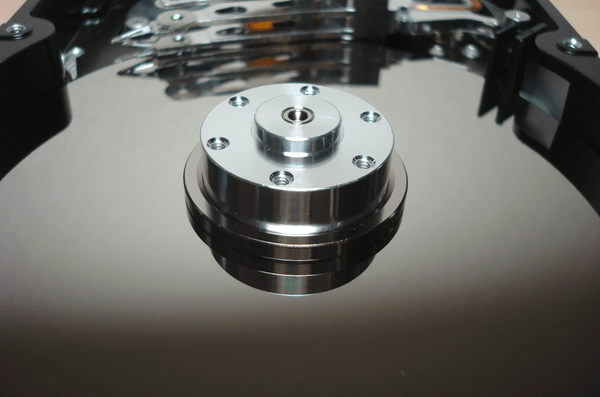 Reallocated sectors are one of the most severe conditions for a hard drive. A single sector isn't the messenger of a complete hard disk failure by itself. But if the sectors are multiplying, it's a sure sign that something is wrong. From the rest of the metrics, if one deserves our attention, CrystalDiskInfo will change its color to yellow for caution or red if it is bad. If we have a couple of "cautions" but not enough to affect the disk's health status, we should just keep an eye on them. In such a case, it's a good idea to run CrystalDiskInfo once or twice a week to see if there is any change. We must always keep in mind that CrystalDiskInfo cannot read the future. The best it does is statistical predictions, based on the S.M.A.R.T. data. In other words, there have been hard drives with "Caution" that continued working flawlessly for years, and "Good" hard drives that failed the next day. So, we must not rush to replace a hard drive with a "Caution" health status. Instead, we should take a full backup of any essential files, which is something we should be doing on every hard drive, even the "Good" ones. If however we get a "Caution" or a "Bad" health status, we should follow-up with a full disk scan, that could potentially discover deeper problems with the hard drive. On a future guide, we will cover the best disk checking software. If you have a caution or bad health status, and want a second opinion, you can leave us a comment with a screenshot of your CrystalDiskInfo results.